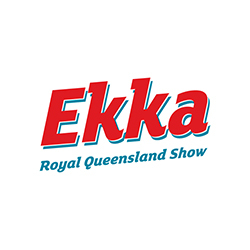 After 10 days of celebrating what makes Queensland great, the Royal Queensland Show (Ekka) drew to a close on Sunday, August 16 at the Brisbane Showgrounds. For 138 years, the Ekka has been bringing the country and city together to celebrate and champion Australian agriculture and the critical role it plays in Queenslanders’ everyday lives. Since the very first exhibition in 1876, the Ekka has showcased animals, fine arts and produce from across Australia. Competitions are still a highlight of the Ekka and this year the show welcomed more than 21,000 entries across 11,000 classes in 42 competition sections. From champion bulls to award-winning jams, the best of the best was unearthed. Another show stopper was the never before seen nightly program, EkkaNITES. The iconic Main Arena was transformed into an extravagant, world-class stage where the brand new X-Treme Action Transformer monster trucks, FMX Freestyle Kings, illuminated horses and spectacular fireworks finale stole the show. With more than 10,000 animals, hundreds of carnival rides and showbags, a smorgasbord of award-winning food and wine and hours of free family entertainment, it is the state’s largest and most loved event. On average, more than 400,000 people come together to enjoy and experience the best of the best. For the second year, Ekka visitors had the chance to experience all the fun of the fair over two full weekends.